Ilyse Hogue is the leader of the National Abortion Rights Action League, also known as NARAL Pro-Choice America. 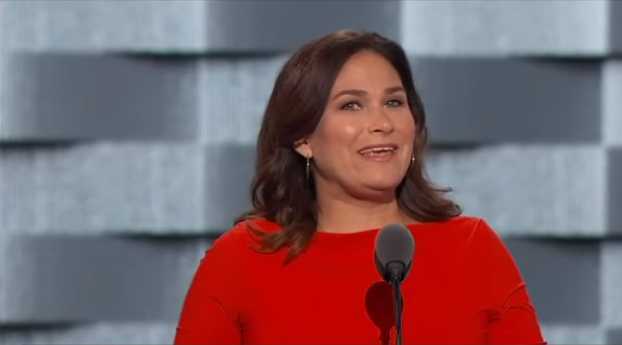 She took to the stage during the convention to shout her abortion to the nation and declare that American needs Hillary Clinton to keep abortion legal. Convention-goers clapped and cheered at the revelation. Hogue suggested that abortion helps to make families successful because it allows women to end their pregnancies if they don’t want children at the time. “If we want families to succeed, we start by empowering women. Give us accurate information and access to health care. Keep politicians out of our business when we’re not ready to parent and support us when we are. That’s what gives our families the best chance to get ahead and to stay ahead,” she said. Hogue also contended that those who oppose abortion really aren’t against ending the lives of unborn children, but rather giving power to women. But some state that no one is ever meant to be the lord over their own lives, whether it be in matters of abortion or contraception, or anything else.